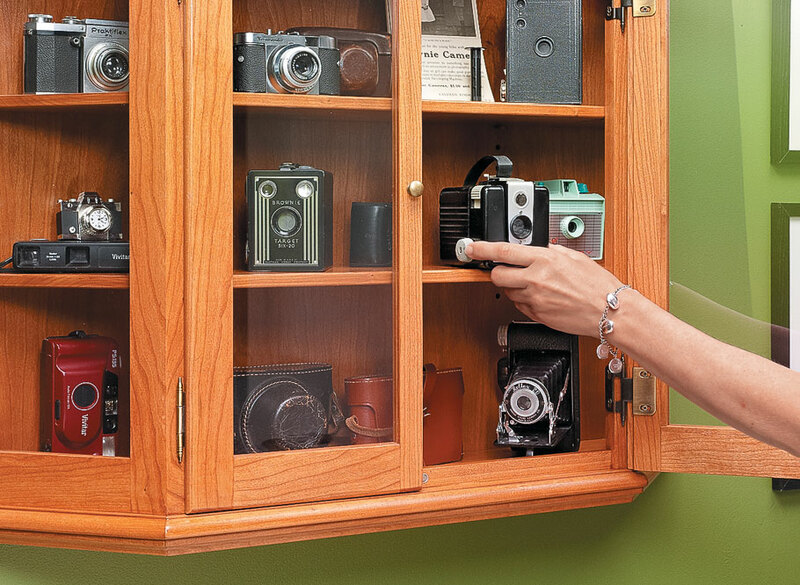 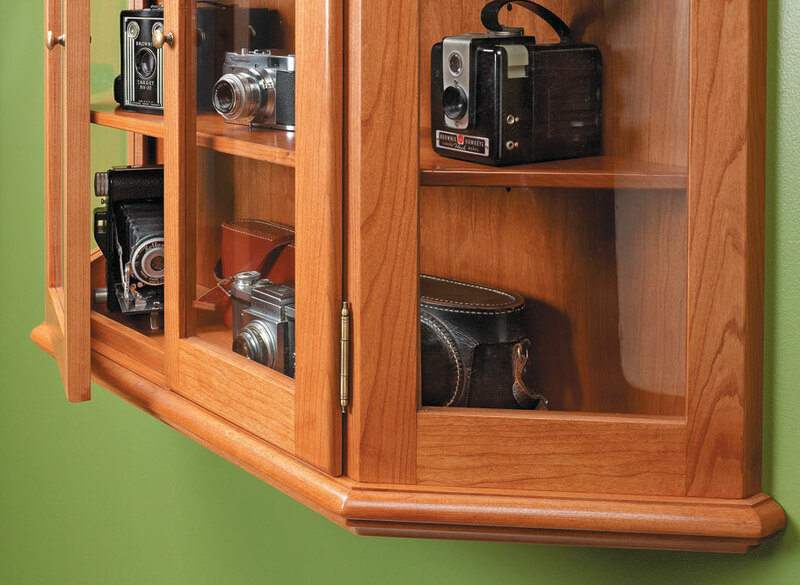 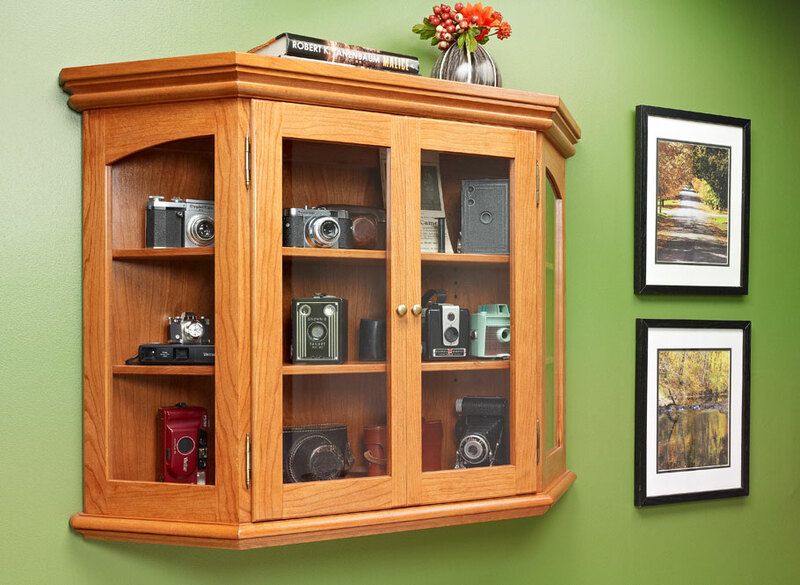 An eye-catching curio cabinet, like the one shown above, offers a versatile way to spice up any room. 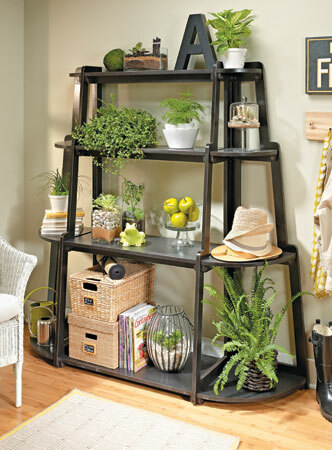 Whether you use it to display a few special collectibles or simply some books and knickknacks, it's sure to become the focus of the room. 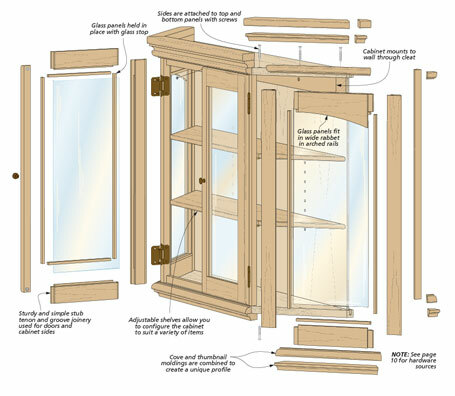 Its construction combines several straightforward shop techniques to create a piece that's great-looking but easy to build. 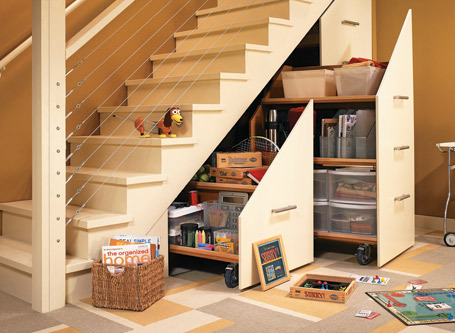 From the built-up shop-made moldings on the top and bottom to the frame and panel doors, there's nothing here that's too difficult or requires any special tools. 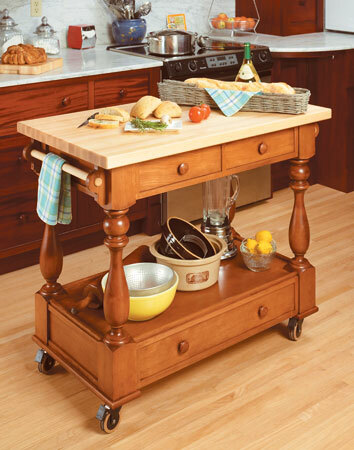 With a large worksurface and lots of handy storage, this roll-around cart is sure to be a hit.